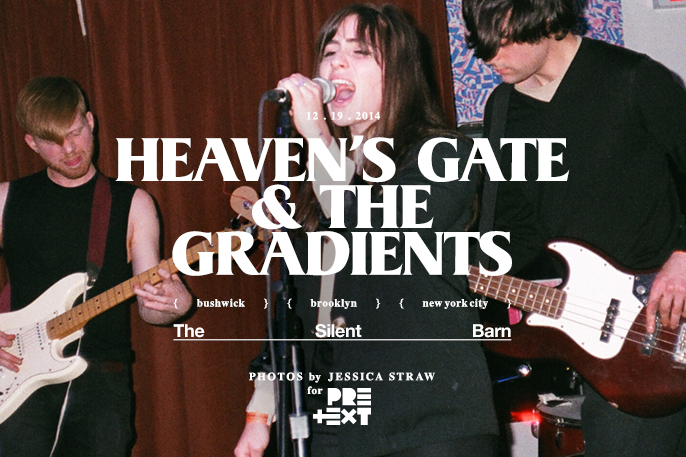 Building a case for linguistic serendipity, Heaven’s Gate and The Gradients made for a night in sonic paradise; The Gradients executing a sneak attack, their songs creeped upon me only to quickly pounce as they flexed their nostalgic, 90s-no wave prowess. 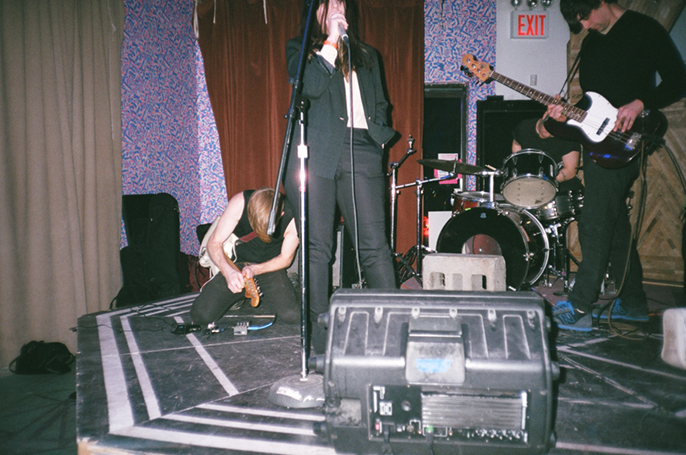 As for Heaven’s Gate…their stage presence is intoxicating, perplexing, but enthralling. 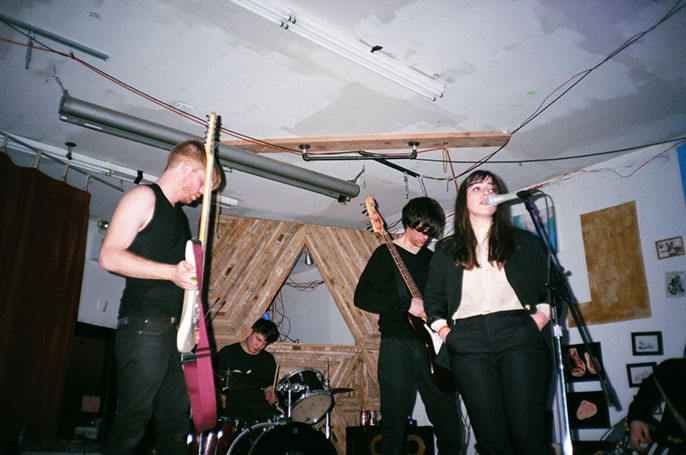 Frontswoman Jess Paps exuded an aura that combines the pulpy, sensual essence of PJ Harvey with the poetic candor and aesthetic bite of Patti Smith, causing me to exhibit jaw-dropping-awe as I watched her calmly switch from a stealthy sway to a stoic, yet poised stance while the other members of Heaven’s Gate thrashed down on the creaking wooden timbers comprising The Silent Barn’s stage. 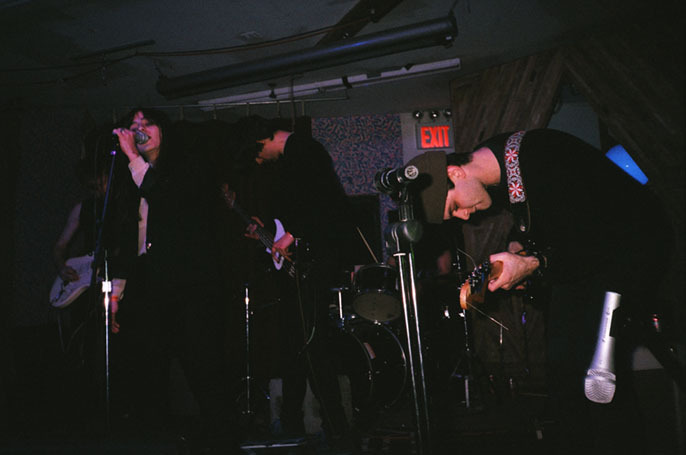 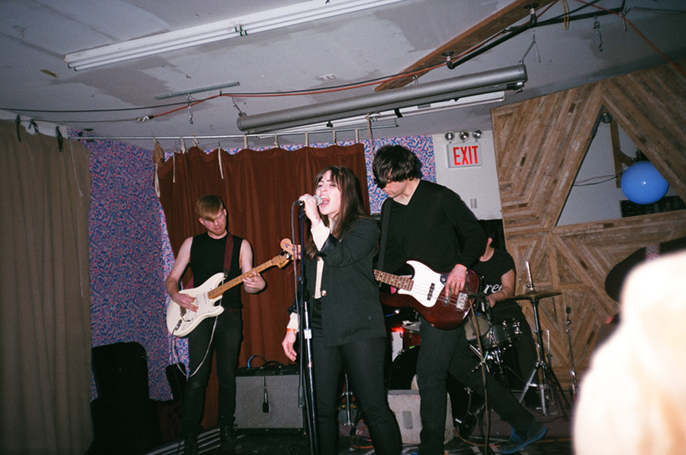 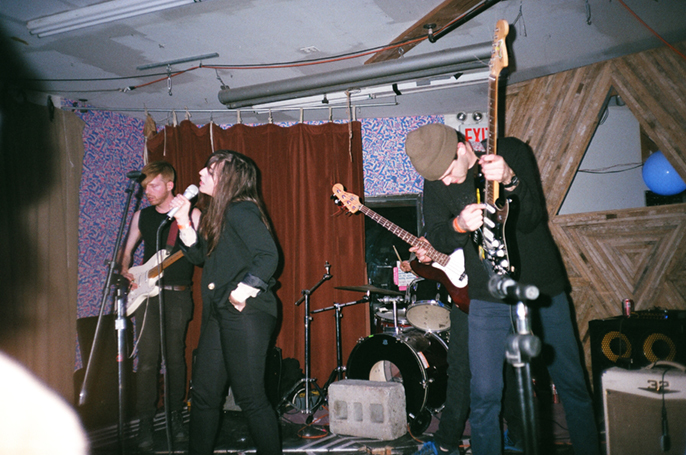 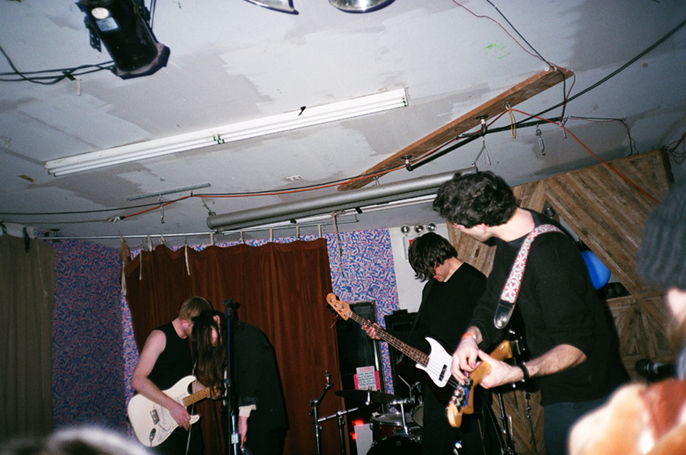 Heaven’s Gate at The Silent Barn on December 19th, 2014, photographed by Jessica Straw. 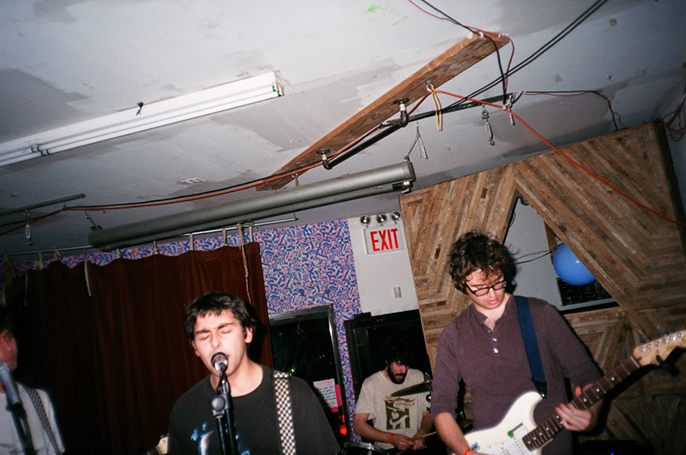 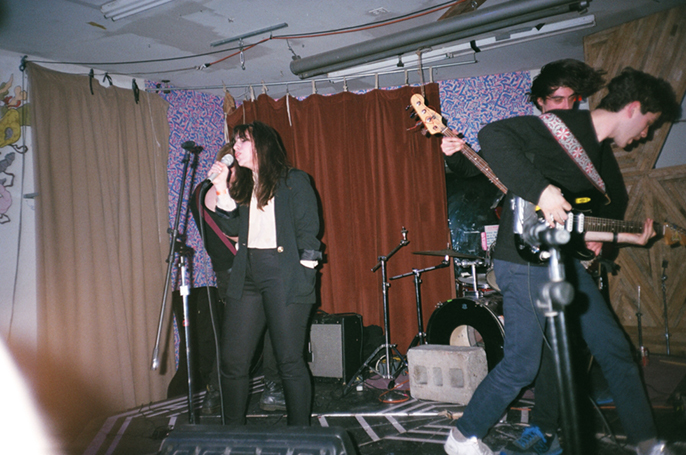 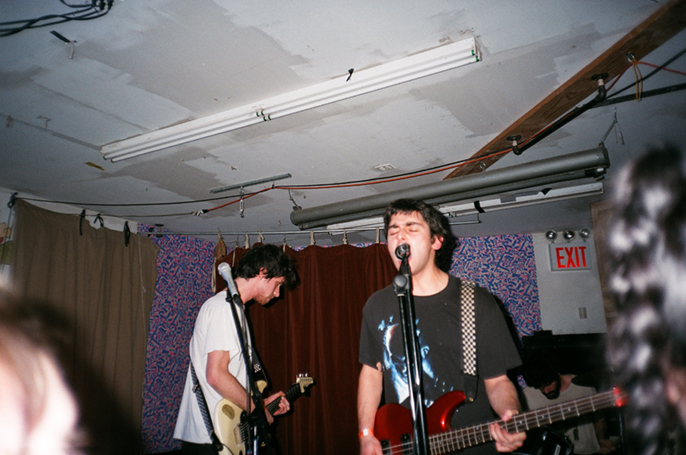 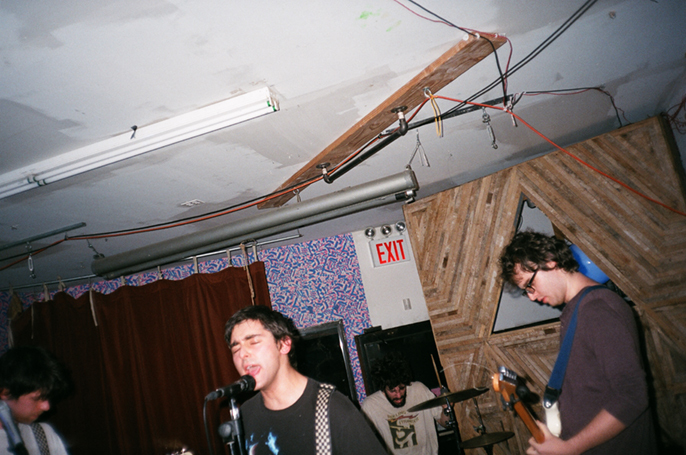 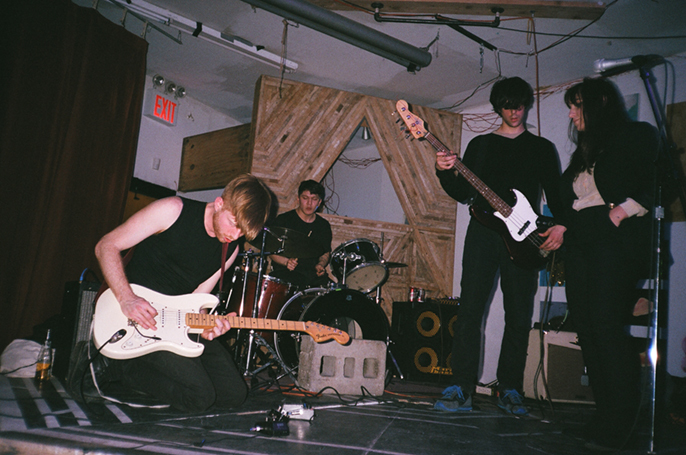 The Gradients at The Silent Barn on December 19th, 2014, photographed by Jessica Straw.